I recently received a package in the mail of three books from the publisher (Houghton Mifflin Harcourt) to review. 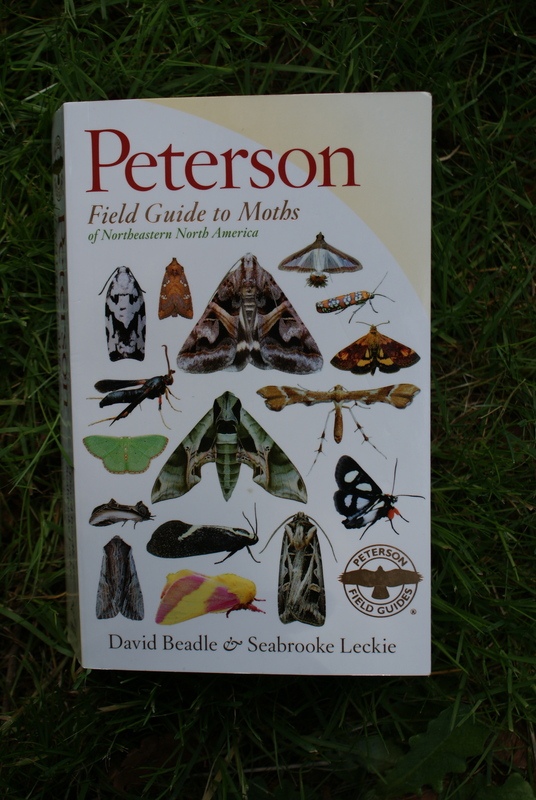 One of them was Peterson Field Guide to Moths of Northeastern North America, by David Beadle and Seabrooke Leckie. We flipped through, entranced by the full-color photos of hundreds of moths. The introduction to the Guide has information about attracting, capturing and studying moths. I’ve never done this before, but I have a feeling it would be a fun activity to try this summer. The moth photos are grouped taxonomically, by family and then species within that family. The photos show the moths at rest as they would be seen in nature. Family and species descriptions tell about larval host plants, habitats where the moths can be found, unique anatomical features, and other interesting information. 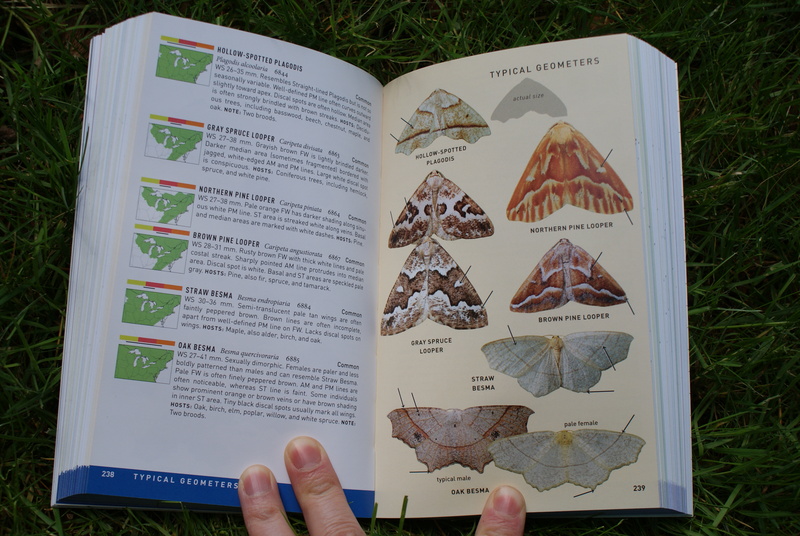 The authors have included range maps to help you know if the moth is likely to be found in your area. They have also included a figure for each moth telling the time of year the adults are commonly found in flight. You won’t find photos of caterpillars, though, so you’ll have to look elsewhere for those resources. I really wish this book covered our area- I think we would use it a lot, and it would get a prominent spot in our regular rotation of guide books that come along on trips. But since it’s for Northeastern North America, I’m sending it along to a friend who lives in that area. This would be a solid addition for budding naturalists, homeschoolers, photographers, and anyone else who loves field guides as much as we do. You can follow Seabrooke Leckie at her website, http://seabrookeleckie.com/. You can find more photos of moths at David Beadle’s site, http://www.ontariomoths.com/. Disclaimer: I received this book from the publisher free of charge. All opinions reflected in this review are my own.